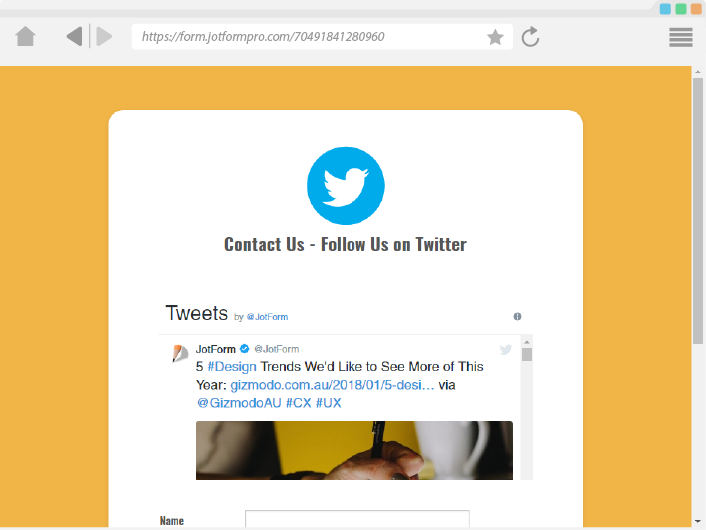 You can now use Twitter to engage a significantly larger audience through your form. 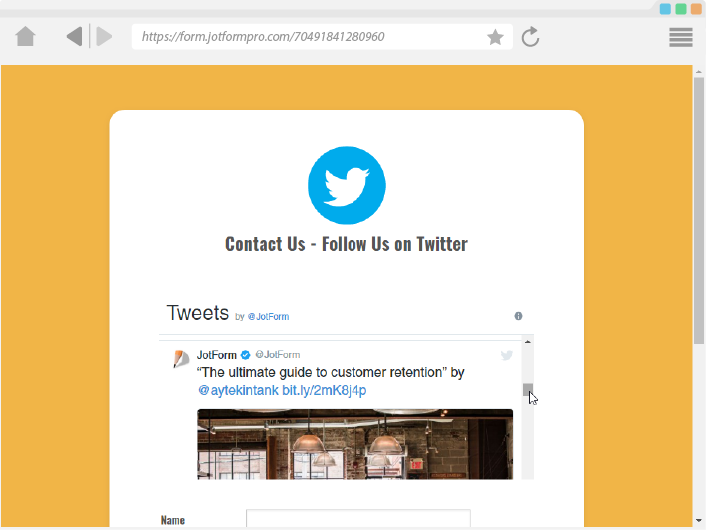 Your form users can follow your twitter profile, or comment on a specific status update. 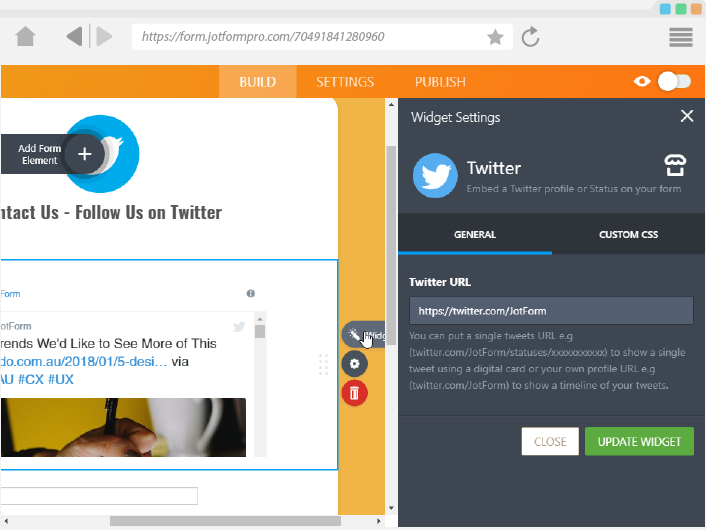 This widget allows you to embed your twitter profile or a specific status update by simply adding the twitter URL to the settings dialog. 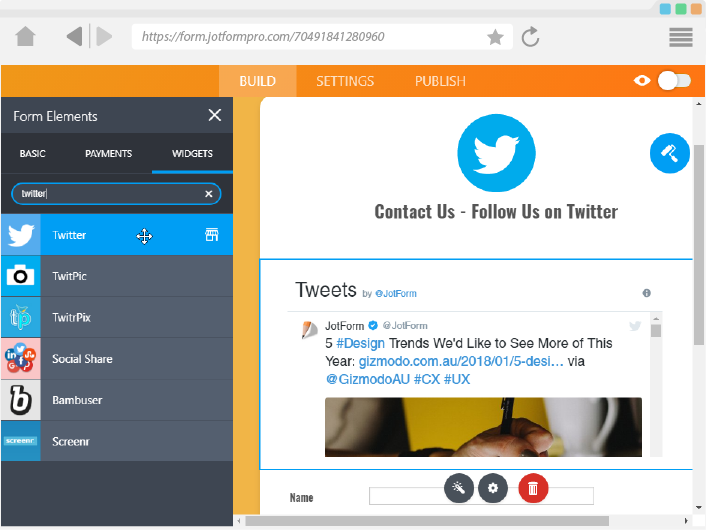 The widget automatically shows the latest tweets on the twitter profile, making it a great way to communicate, provide feedback or updates to millions of people on Twitter.